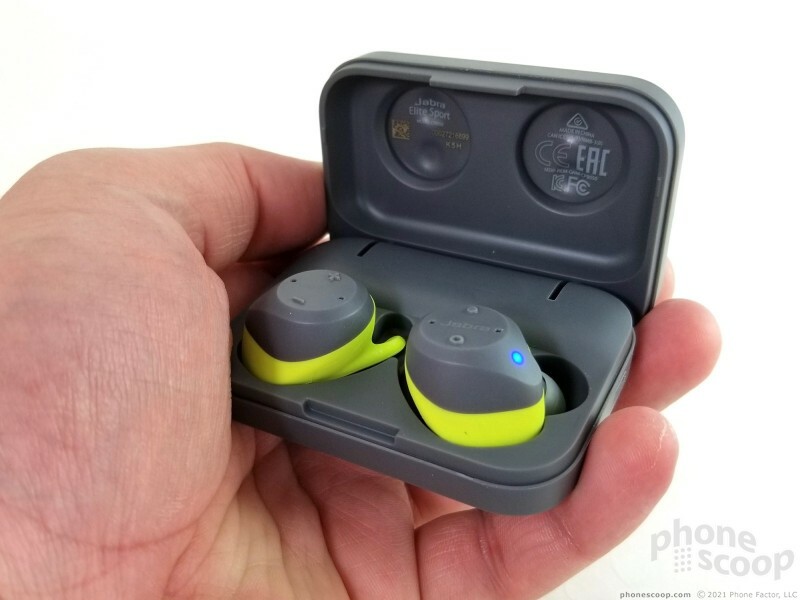 Jabra has refreshed its Elite Sport wireless Bluetooth earbuds with improvements to battery life and sound quality. 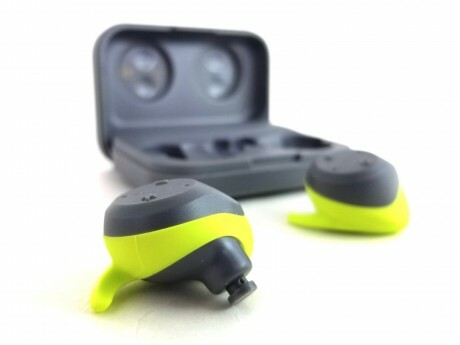 Like the originals, the new Jabra Elite Sport are aimed at fitness-minded people thanks to fancy tools such as a heart rate monitor and in-ear coaching. If you're looking for fully-featured, wire-free earbuds, the 2017 Jabra Elite Sport offer more bang for the buck than most. The 2017 Elite Sport from Jabra are finding themselves in a more crowded field than when the first pair debuted less than a year ago. 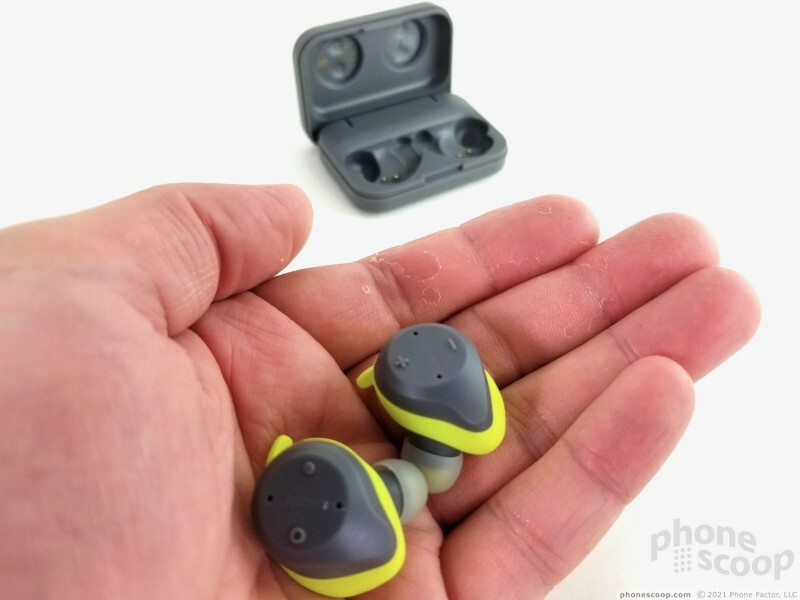 These fully wireless earbuds compete with models from Apple, WinnerGear, NuHeara, and myriad others. Where the originals covered most of the bases with aplomb, they still fell a little short. 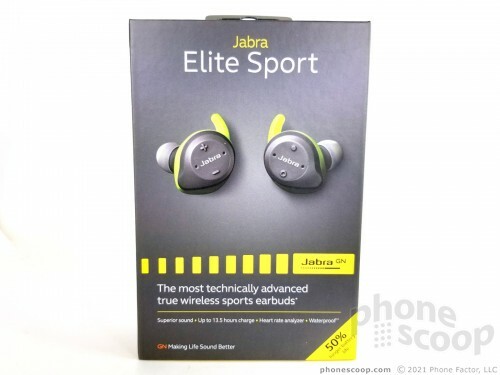 Jabra has tweaked the Elite Sport in two key categories: battery life and sound quality. The new buds offer 50% more battery life than the original models, and the added sound profile controls give Elite Sport owners far more tools to dial in the perfect sound. The Elite Sport go beyond music playback, however, as they bring athletic coaching and training to the table. 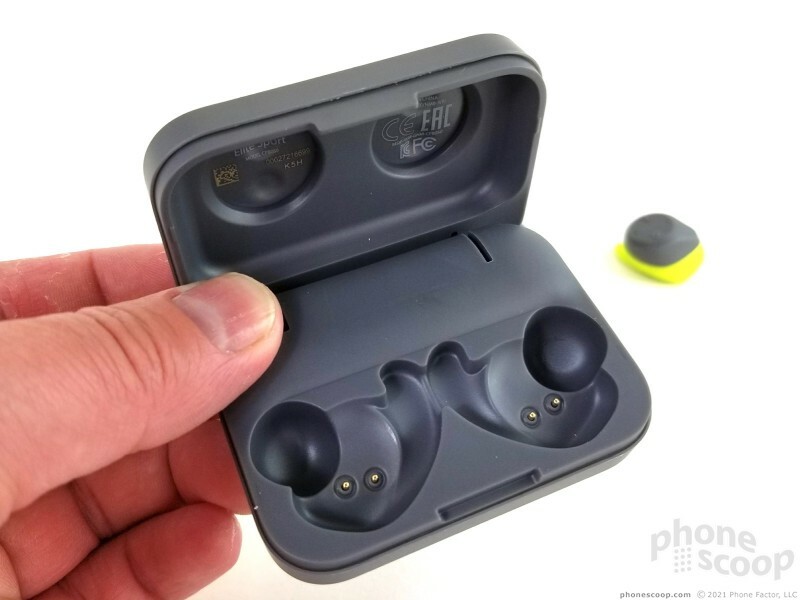 The result is a well-rounded product that just might set the bar for what we should expect from fully wireless earbuds. 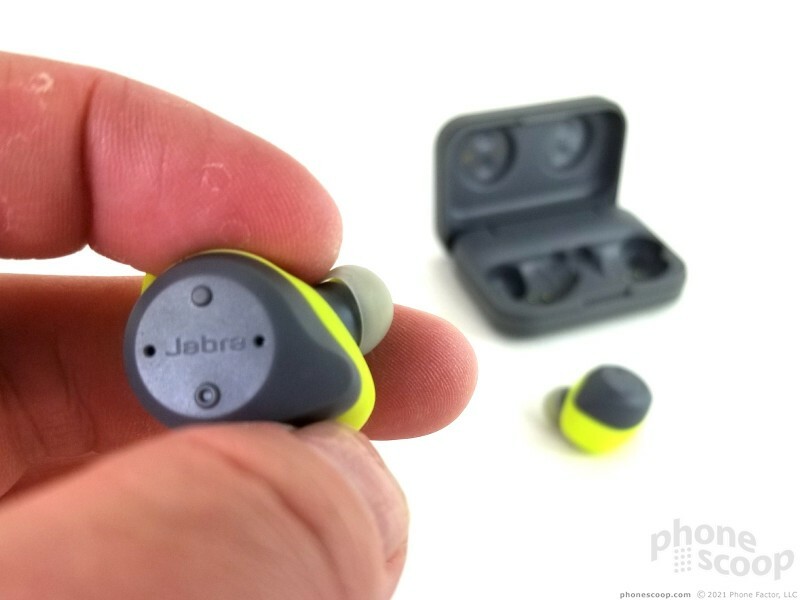 Here are our thoughts on the improved 2017 Jabra Elite Sport. From a hardware perspective, the 2017 Jabra Sport Elite headphones are identical to the originals. 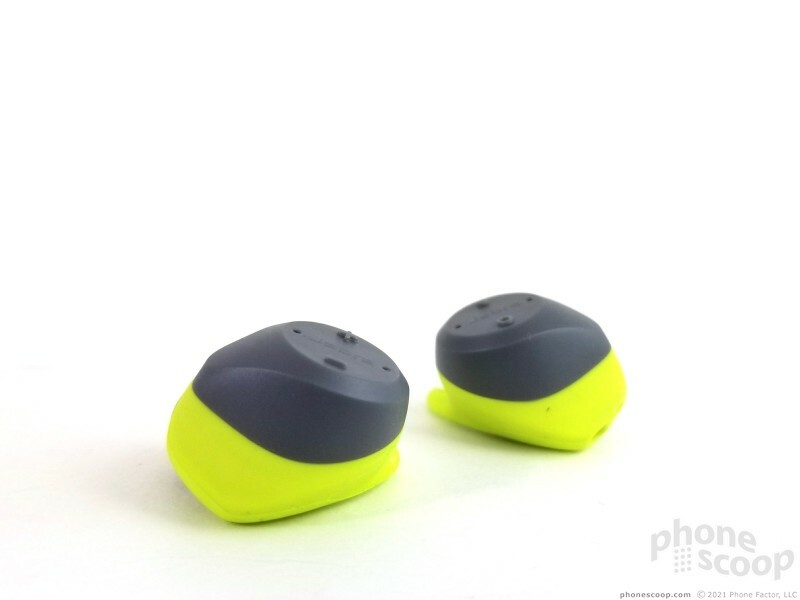 Other than the new color option, the earbuds share the same shape, style, and controls of the first version. That's good news. The Elite Sport come in a hardshell case that doubles as a charger. Jabra's case has minimal personality. It looks like a black pill box. It's a tough, blocky thing and closes up like a clamshell. 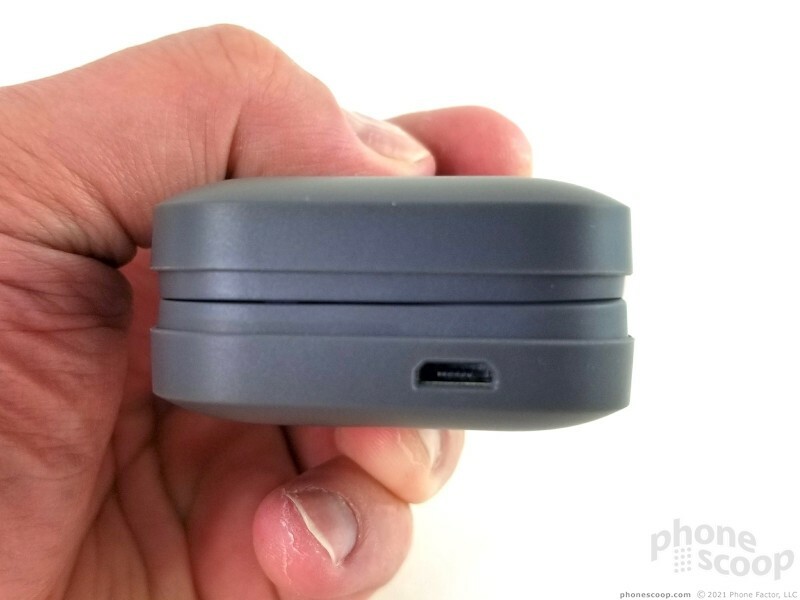 A microUSB port is located on the side. Plug the case in and it lights up: red means charging, while green signals “charged”. There's no way to assess the charge level of the buds within. That's a bit of a drag. 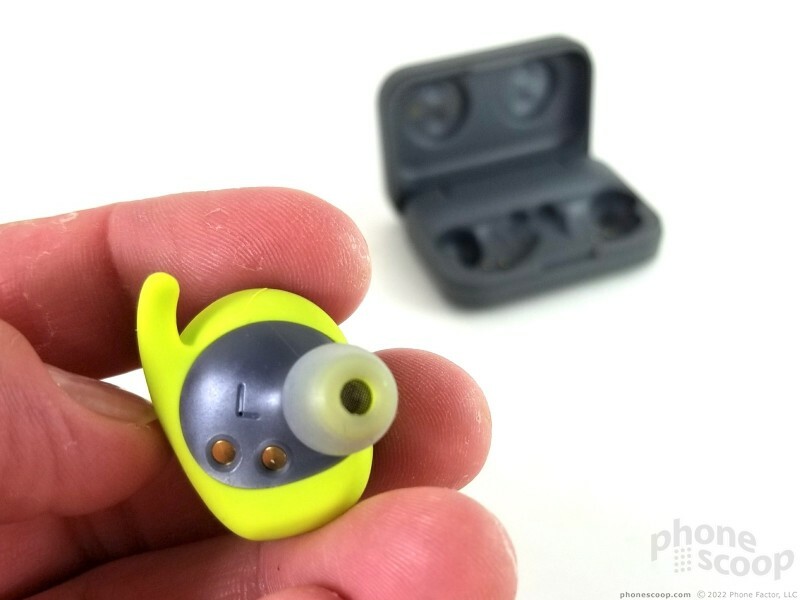 Each earbud sits in its own form-fitting cavity. Metal pins in the cavities make contact with small metal plates on the sides of the buds to transfer power. The buds won't charge with the lid open. 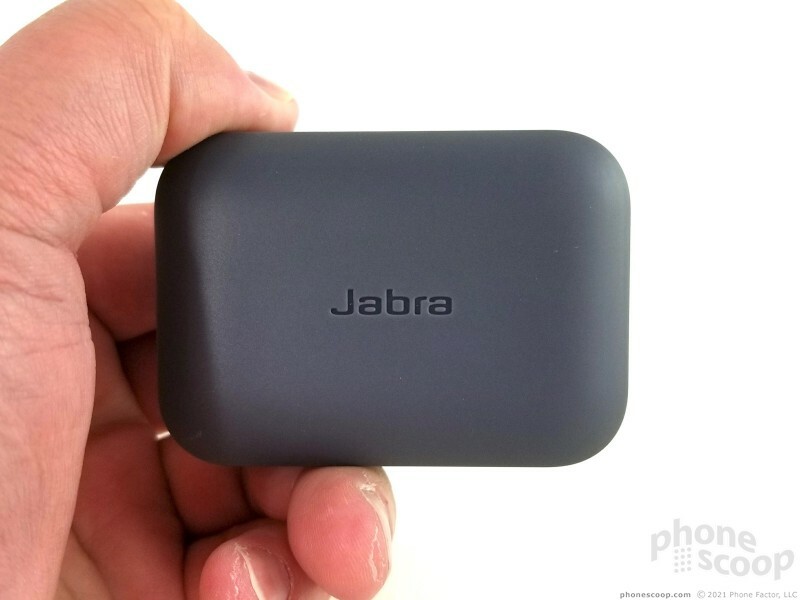 Jabra's earbuds are (still) the biggest I've seen in the cord-free category. Each has a distinct stem that goes in your ear canal and a bulbous frame that locks into your outer ear. 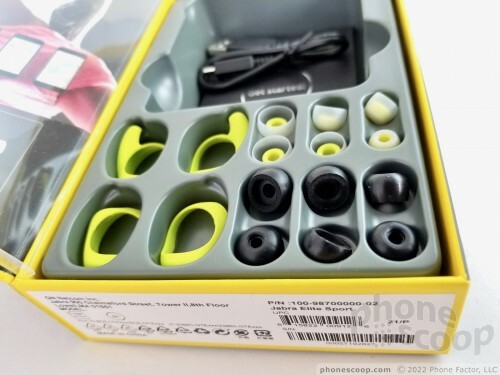 Jabra is generous and included three sets of gel tips, three sets of foam tips, and three sets of ear wings. I was able to find a secure fit easily with the foam tips, but found the gel tips to be somewhat uncomfortable. The Elite Sport are also fairly heavy in this category at 7.6 grams each. Despite the support offered by the ear wings, the Elite Sport were not quite as comfortable to wear for long periods of time as the WinnerGear Heros. The larger size and weight lead to a bit more ear fatigue over time. I found wearing the Elite Sport for shorter periods (~ 1 hour) wasn't taxing to my ears. 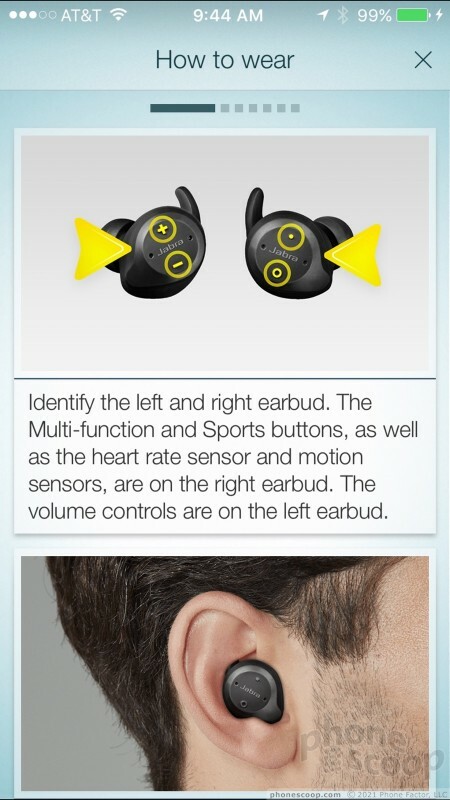 The earbuds will stay in place during vigorous movement. 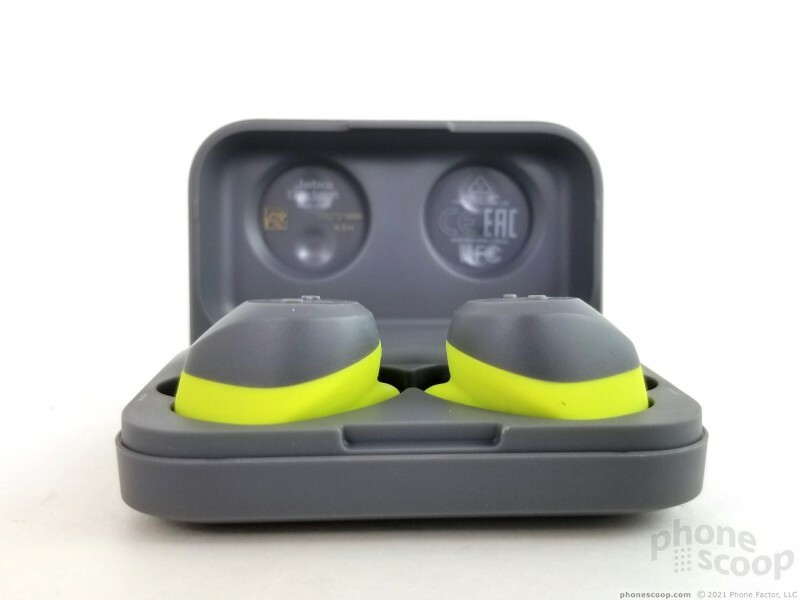 I did jumping jacks with them in my ears and tested them during several walks in my local park. As long as you customize the fit with the right size tips, you needn't worry about them falling out. 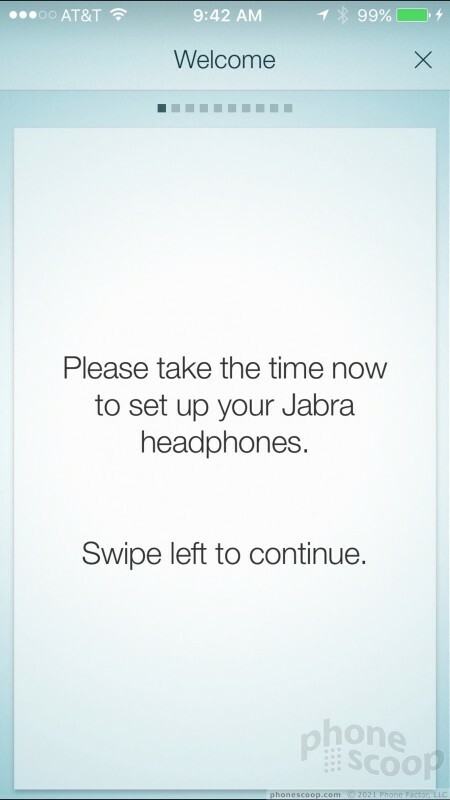 I hoped Jabra would refresh the hardware controls, but it didn't. The back of each bud has a top button and a bottom button. The right earbud is the main bud. 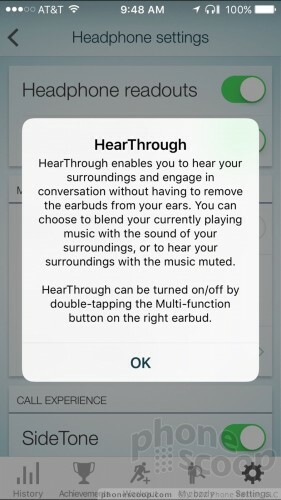 The top button activates play/pause music and accept/reject calls, while the lower button acts as a shortcut to apps/workouts. The top button is a solid circle and the lower button is an open circle, but the buttons are so small that it can be difficult to differentiate between them based on feel.The left bud provides volume controls thanks to "+" and "-" buttons that appear on the side in the 12- and 6-o'clock positions. 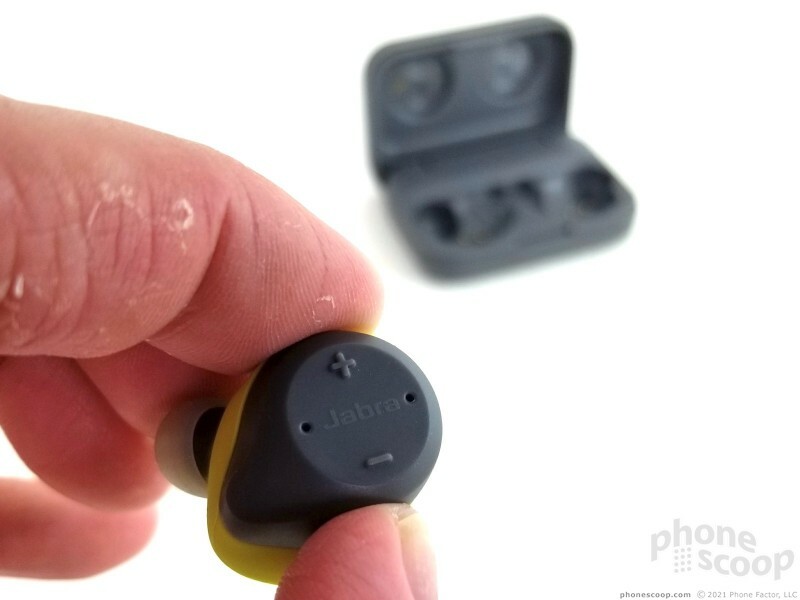 Each of the buttons on the Jabra Elite requires lots of action; you really have to press them hard. This can mess up the fit of the headphones in your ear. 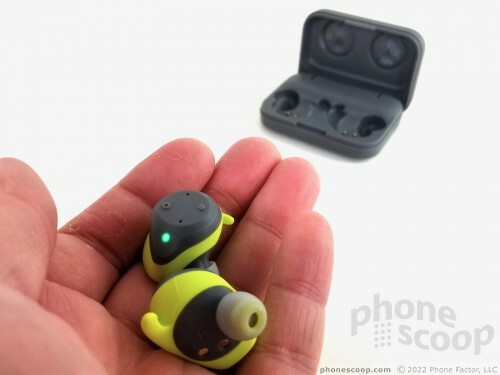 The buds provide an audible beep to let you know you've taken action. 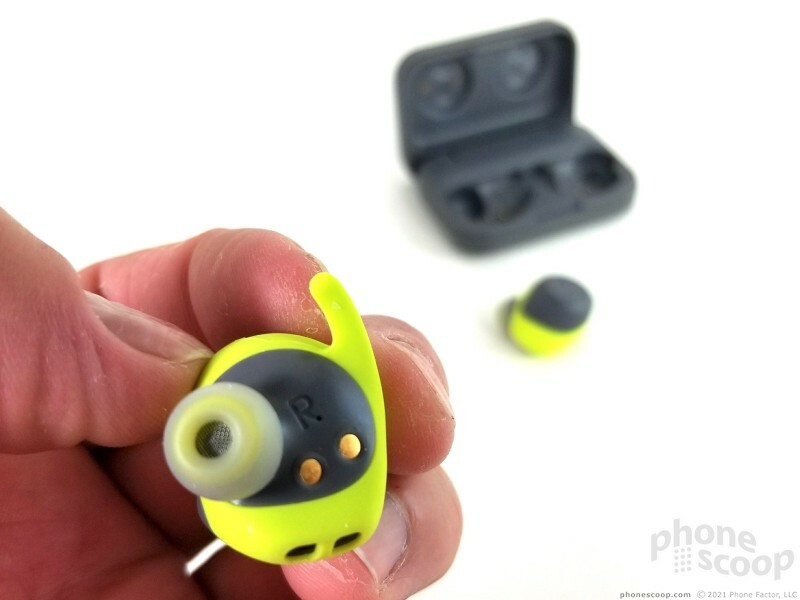 One thing Jabra did with the new buds was to change up the colors. Where the originals came in black only, the second-generation earbuds are also available in gray with lime green accents. I prefer the new gray/lime option. The Jabra Elite Sport rely on Bluetooth 4.1 to talk to your phone. 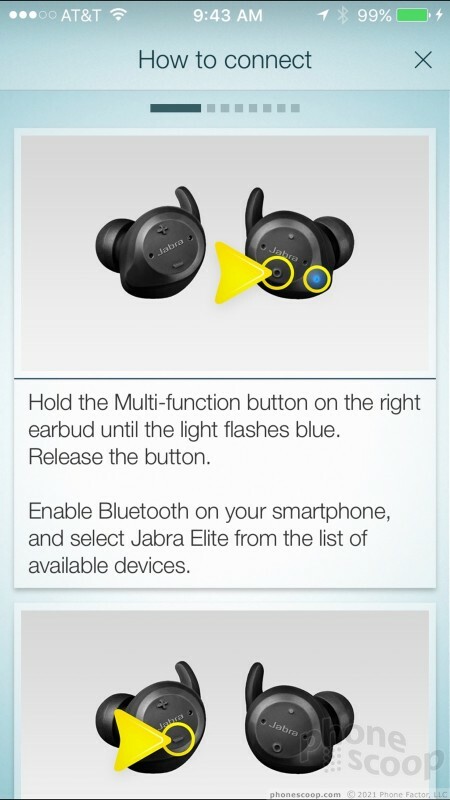 You can pair them manually via the phone's Bluetooth menu or use the Jabra Sport app. Pairing and connecting is quite easy. Once you've paired them, the Elite Sport will automatically connect to your phone as soon as you open the charging box. The headphones talk to one another wirelessly through your head. I had no trouble pairing the buds to various Android and iOS devices. Not only did the Elite Sport maintain a consistent connection with my devices, but the two separate buds remained in perfect sync with one another. I didn't experience any drops between the Elite sport and my phone, nor between the two buds. Music always streamed without interruption. The maximum range you can wander from your phone is the standard 33 feet. Music quality is one of the main reasons to buy these headphones. The 2017 model makes huge improvements in sound. 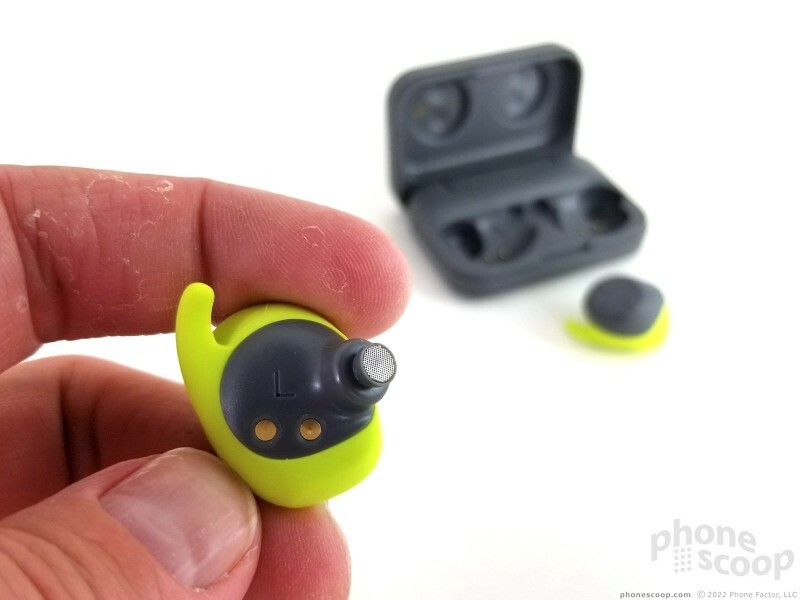 Like the originals, the 2017 Jabra Elite Sport default to a somewhat bass-heavy tuning. 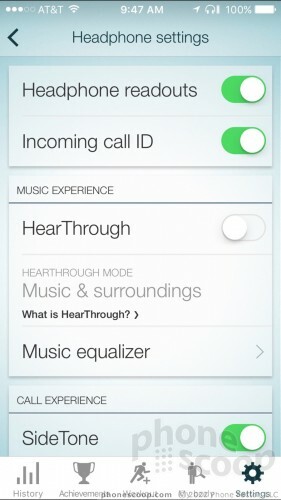 However, the revised Jabra Life Sport application for your Android or iPhone now allows you to adjust the timbre of music. 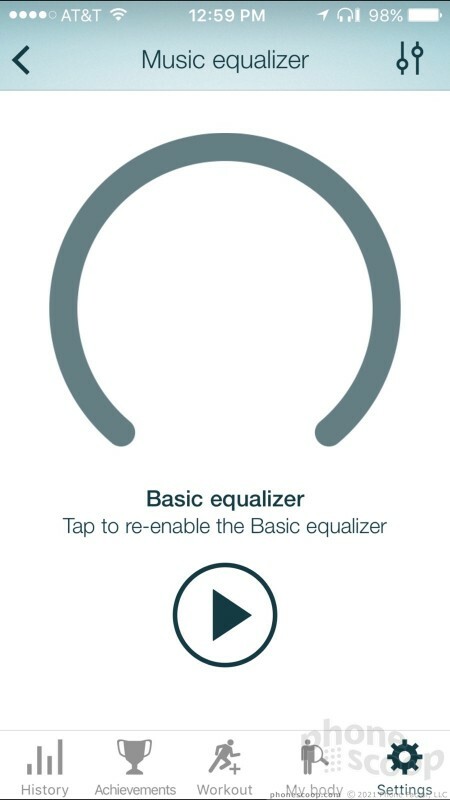 There are two EQ tools: a simple dial that you can turn to select bass-y or treble-y sound, and a 5-band equalizer to give you more precise control over the earbuds' response. This is right up my alley. Using the 5-band EQ I was able to find the exact sound I prefer. 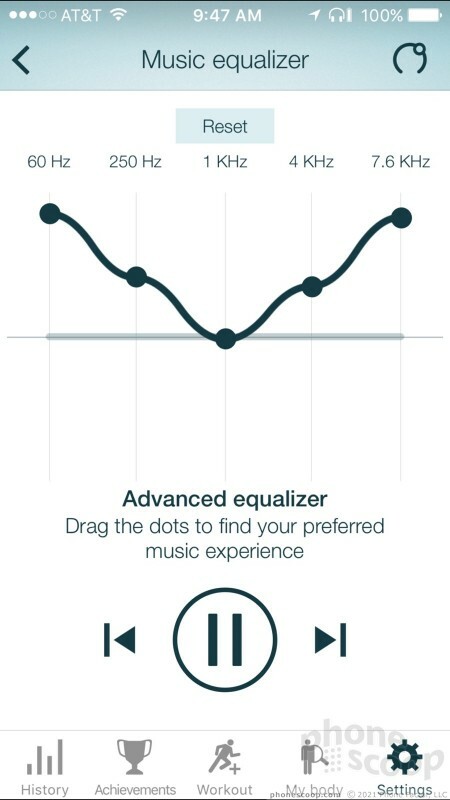 You can combine the headphones' EQ settings with those of your favorite music app to really take control over the way music sounds. I think it's important to point out that, out of the box, the Elite Sports were a bit muffled and tuned too much toward bass (no doubt thanks to the "bespoke bass enriched speakers" referenced in the marketing materials.) If you just turn them on and plop them in your ears you may not be happy. 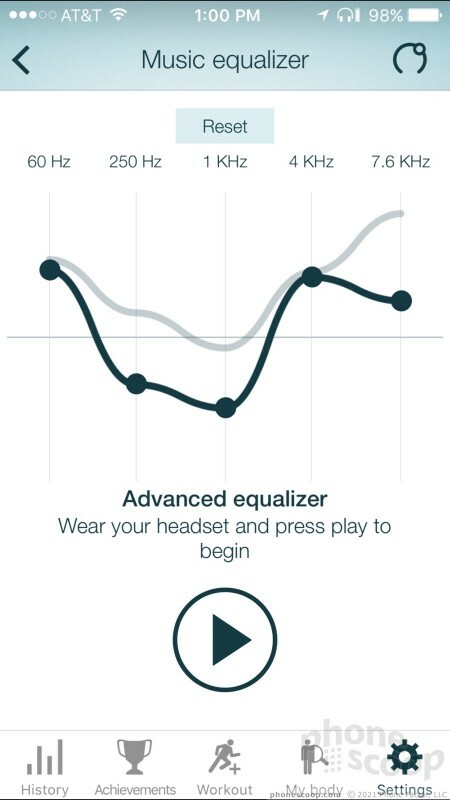 I strongly recommend you download and install the Elite Sport app and take a moment to mess with the EQ to get the best possible sound. Beyond Beyonce, you can take advantage of the Elite Sport for phone calls. The buds boast four microphones with noise-reduction algorithms to eliminate background distractions. They don't go as far as active noise “cancellation”, but Jabra's software definitely cuts down on the din. Call quality via the Elite Sports is excellent. You can use just a single bud to act as a mono headset if you wish. 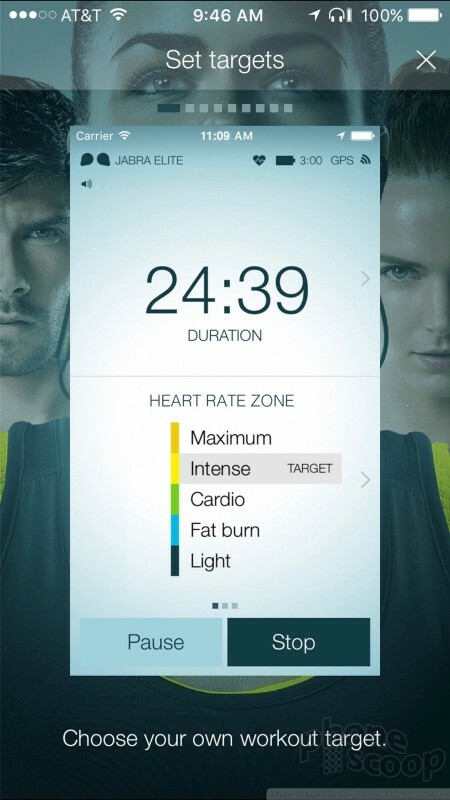 The Elite Sport does supports a HearThrough mode that pipes in a feed of background sound on purpose so you remain aware of your surroundings while listening to music. This can be beneficial when safety is a concern, or when you want to ensure people can easily get your attention when needed. Last, the 2017 Elite Sports add a new tool called SideTone, which plays your own voice in the earbuds during calls so you can hear yourself speak. The original Elite Sport headphones delivered three hours of music playback on a single charge, and the case could recharge the earbuds twice. This made for a total of 9 hours of battery life. The 2017 Elite Sports up the ante by 50%. 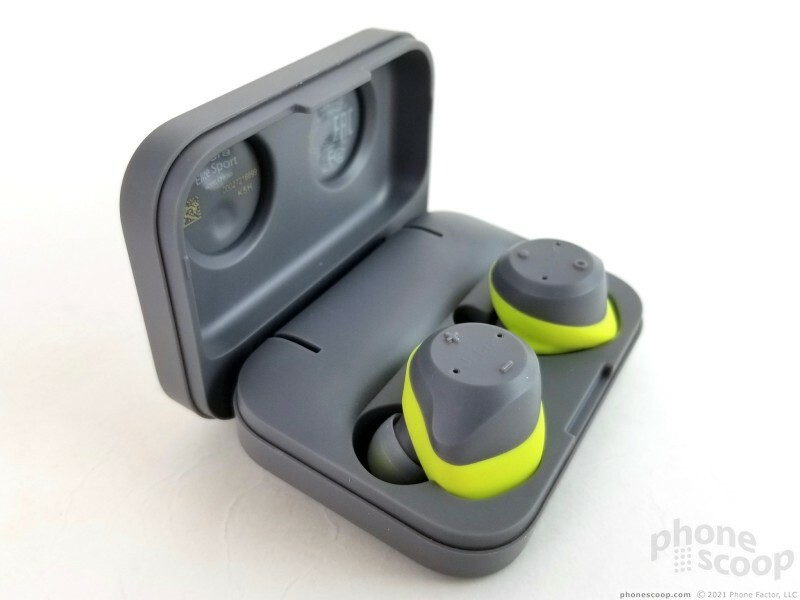 Now, the earbuds last a whopping 4.5 hours per charge, with two recharges in the case making for a total of 13.5 hours. That's category-leading, folks. 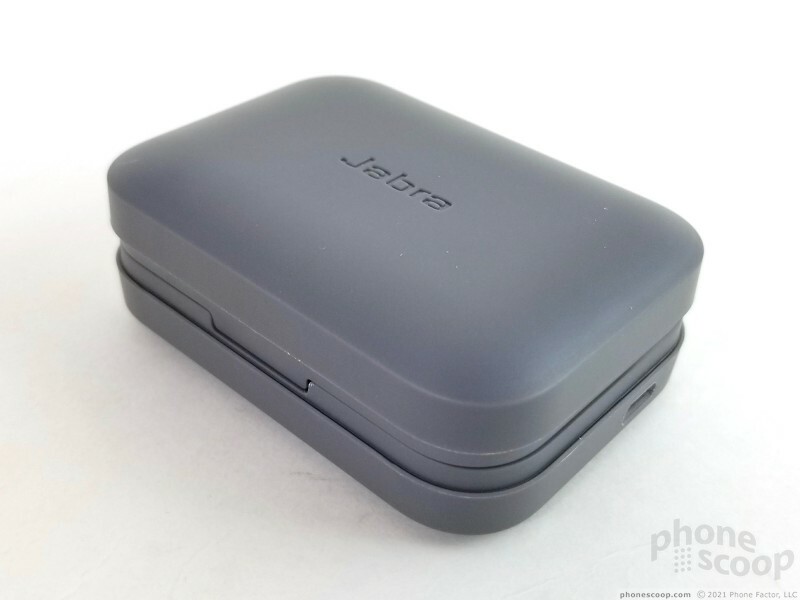 Charge time in the case is close to two hours, which is typical for this class of headphones. The Elite Sport deliver more than enough battery life for long, long walks, runs, hikes, and bike rides. Moreover, the headphones have enough juice to get you from New York City to Las Vegas without stopping for fuel. 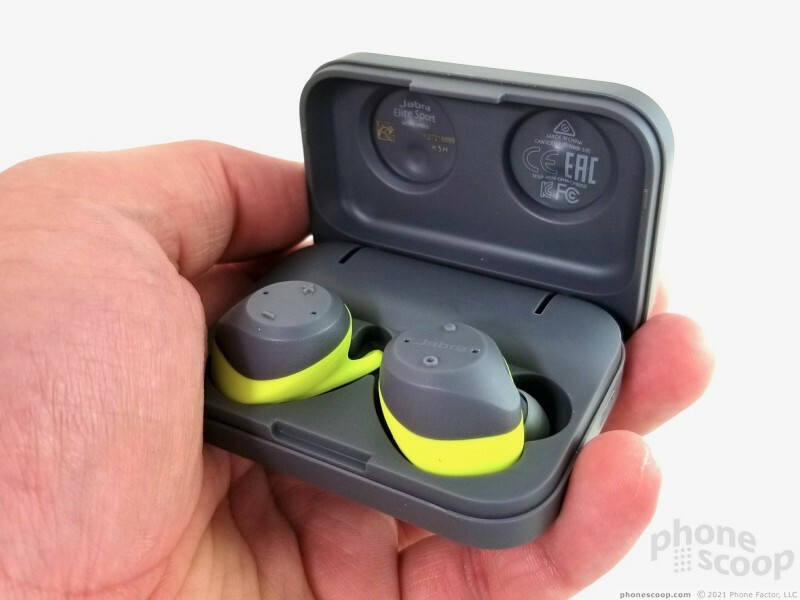 The Elite Sport offer the best battery life of any fully wireless earbuds I've tested. As far as actual tracking is concerned, you can set targets for pace/cadence, heart rate zones (intense, fat burn, light, etc. 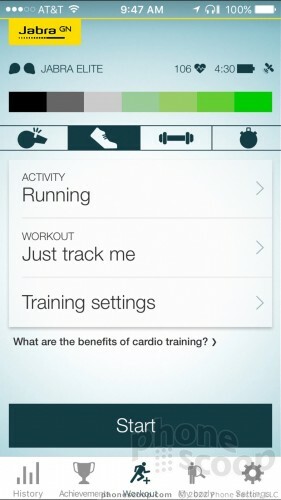 ), intervals, distance, duration, and calories. 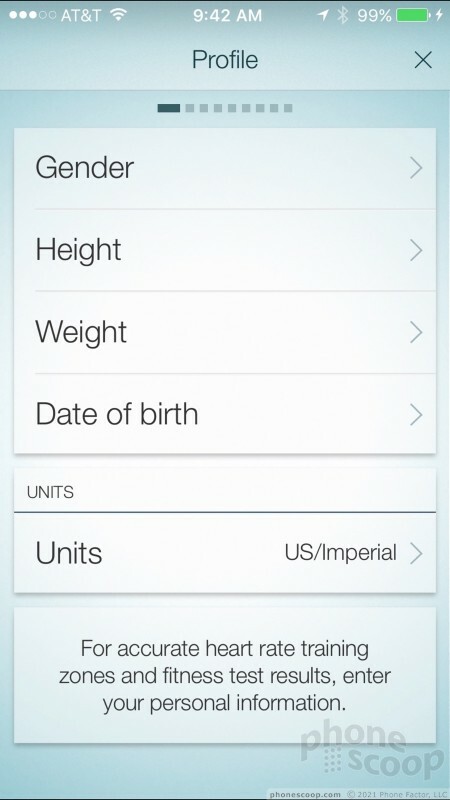 Again, these are all easy to futz with and control from your Android or iOS phone. 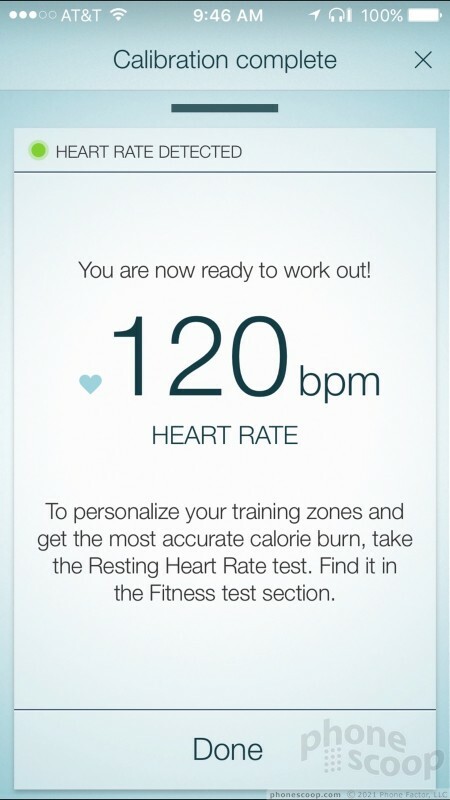 In my experience, the Elite Sport was very accurate in tracking my heart rate. I compared it directly to the Apple Watch and the two were about even. 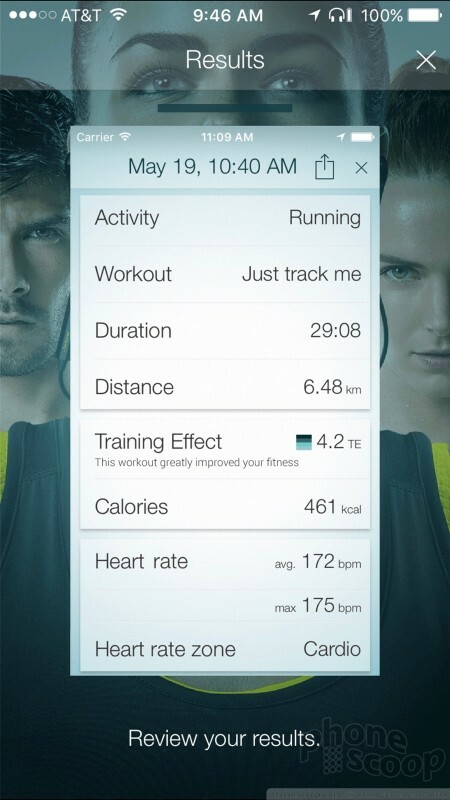 This allows the app to produce usable results when working out against your VO2 max, and so on. The Elite Sport also managed to track reps well as I tested this by lifting some weights. It's not perfect, but when I used some free weights it only mismatched my own rep count a couple of times (and even then was only off by one rep). If you care to spend the time, you can work with the Elite Sport to create crossfit-style circuits (short jog, weights, burpees, etc). 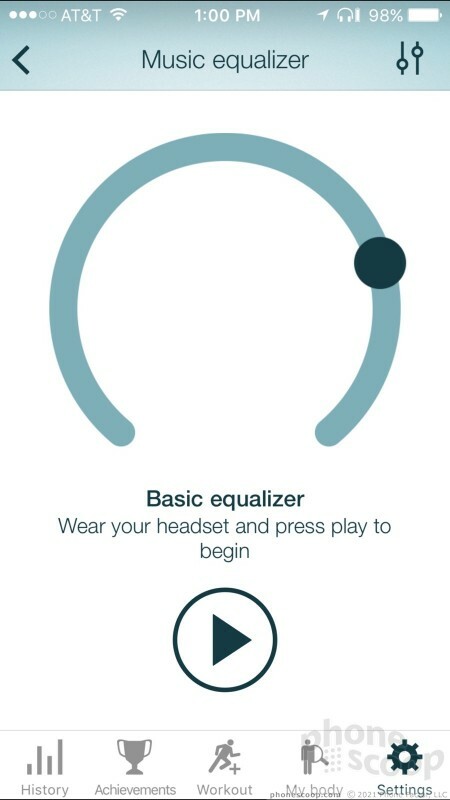 The headphones will count reps audibly as you listen to music. 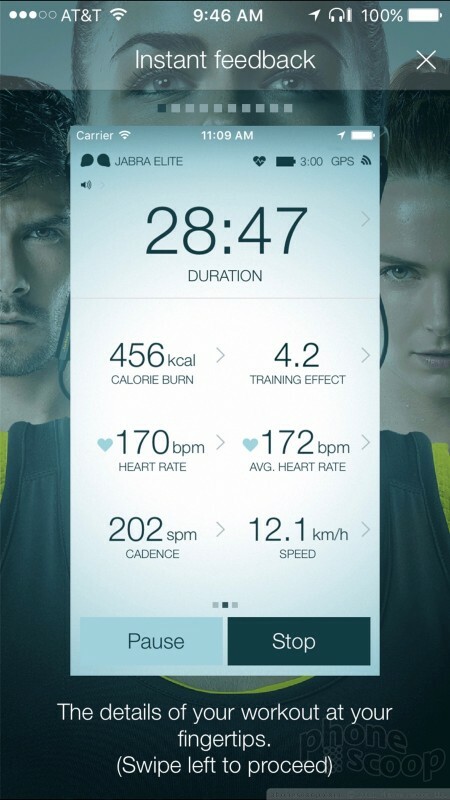 Bottom line, the Elite Sport does what Jabra says they will as far as tracking your workouts is concerned. 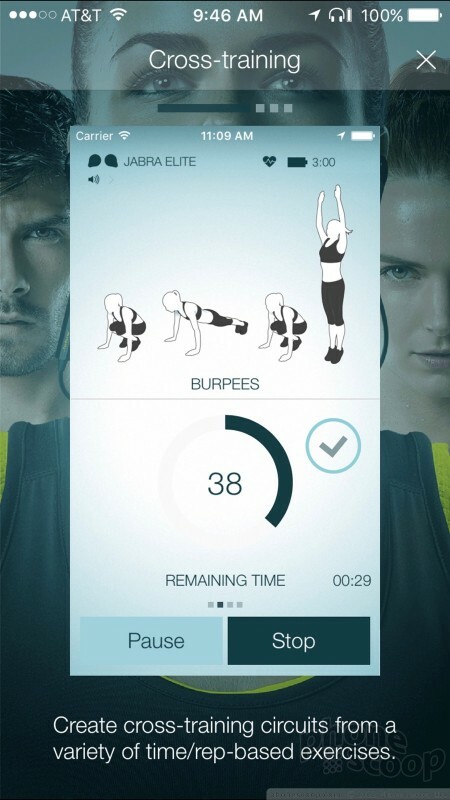 If you're serious about workouts, the Elite Sport offer far more functionality than Apple's EarPods or WinnerGear's Heros. 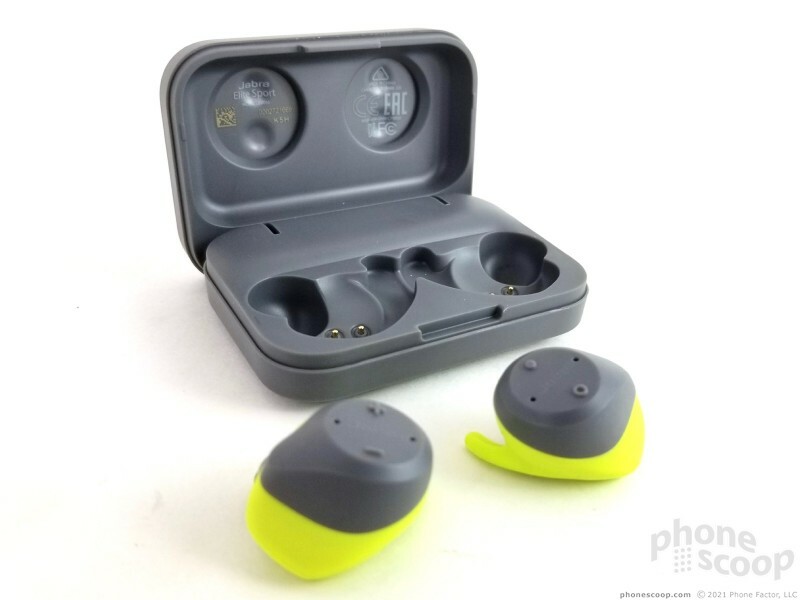 There's no doubt in my mind that the Jabra Elite Sport are the top of the class for wireless earbuds right now. 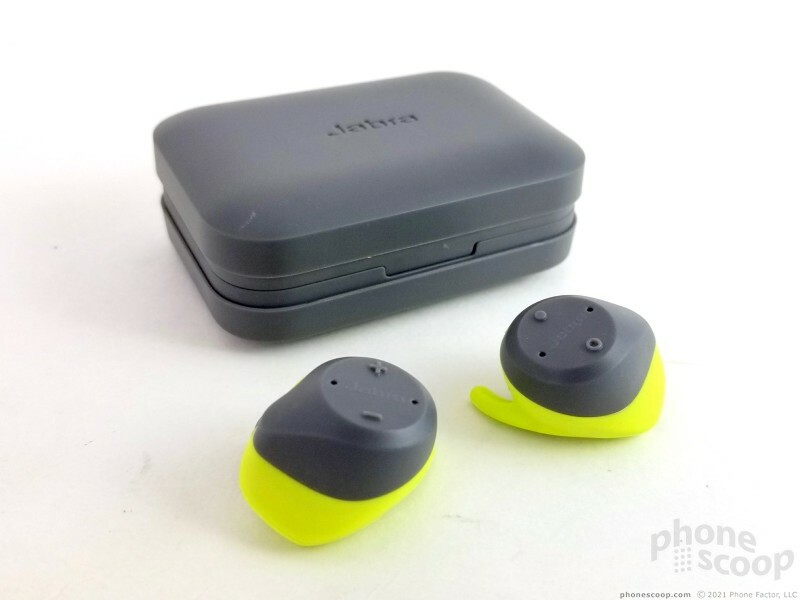 Despite the lack of active noise cancellation, the Jabra's trounce the competition in terms of comfort, fit, sound quality, and battery life. Toss in the advanced workout tools and the Elite Sport live up to their name. 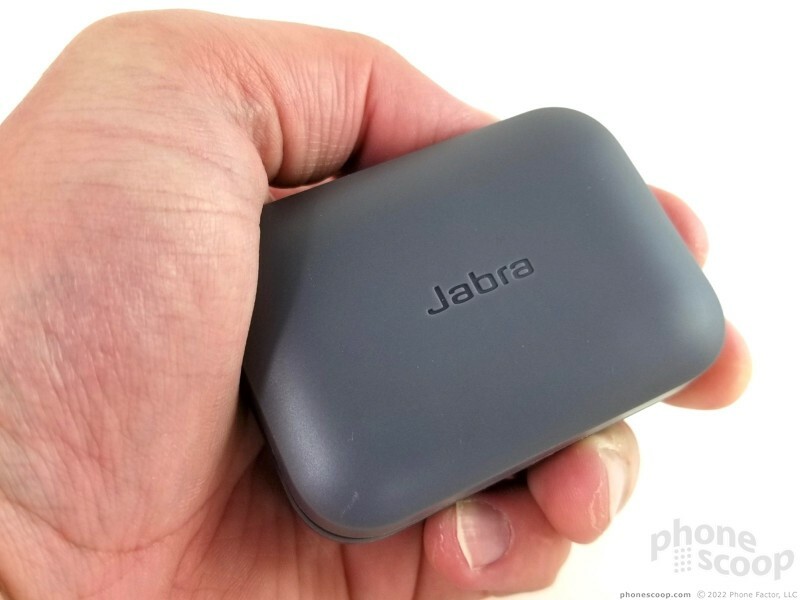 At $250, the Jabra's are rather pricey. I think they're worth every penny. The Elite 65t are Jabra's third-generation fully wireless Bluetooth headphones. The company is taking a slightly new path with this addition to the Elite family.